April is a terrific “shoulder season” month for international travel. Southern Hemisphere destinations like Rio de Janeiro and the Galapagos Islands are at their temperate mildest, while the crowds that hit up such regular European touristic stomping grounds as Paris and Rome are a bit more subdued (if still a bit heavy). The springtime weather here can be hit-or-miss, but while you may want to bring an umbrella, you can usually leave the winter coat behind. Belgium has been in my mind lately, as you may recall from my recent post that found me reflecting on the Brussels bombings. I passed through Brussels for the briefest of moments in April, 2011, alighting at Brussels Airport before catching the first train out of the city. 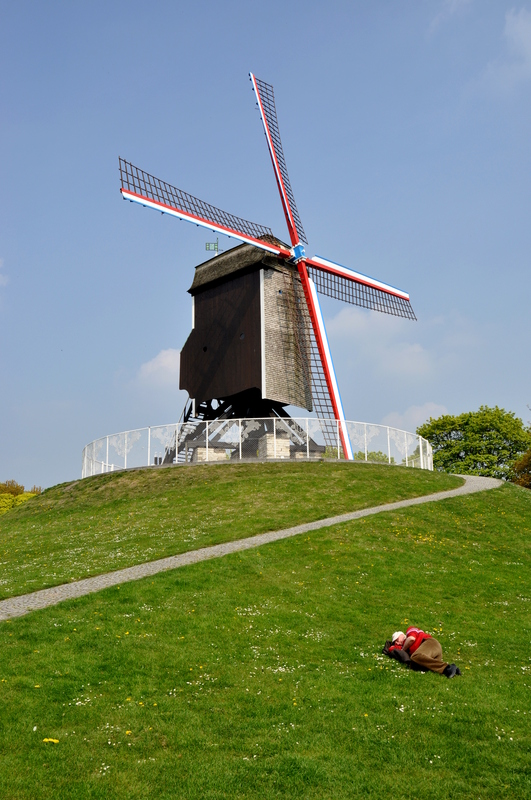 My destination: medieval Bruges, just 70 minutes away by train. Bruges (the “s” is silent) shares the moniker “the Venice of Northern Europe” with Amsterdam, Stockholm, and other canal cities in the region. It surely is in good company. 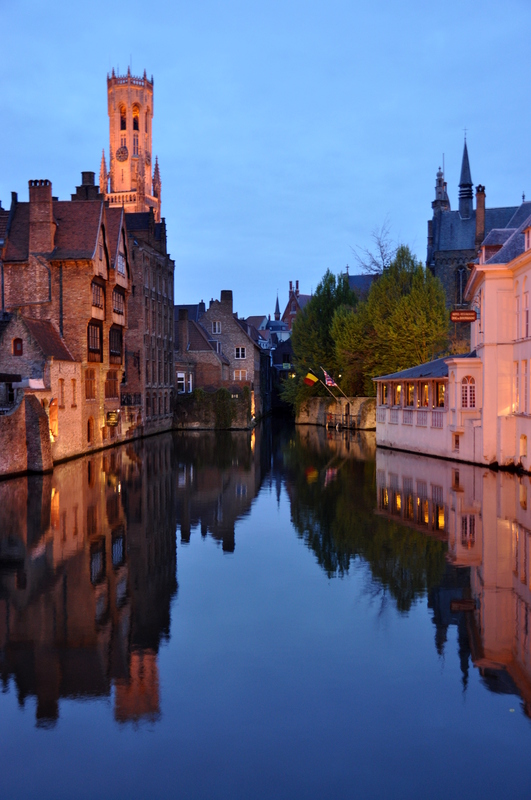 Bruges boasts more canals than Stockholm but fewer than Amsterdam. 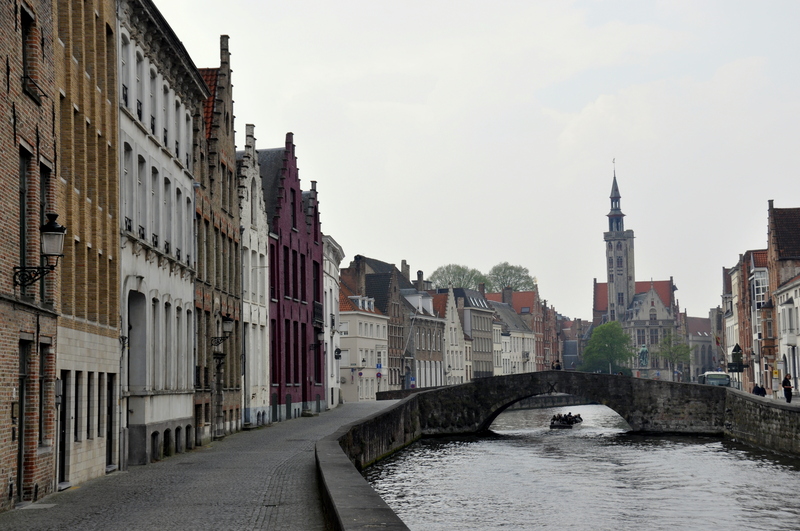 A few are too narrow to be plied by boat, but most Bruges waterways divide wide streets in two. 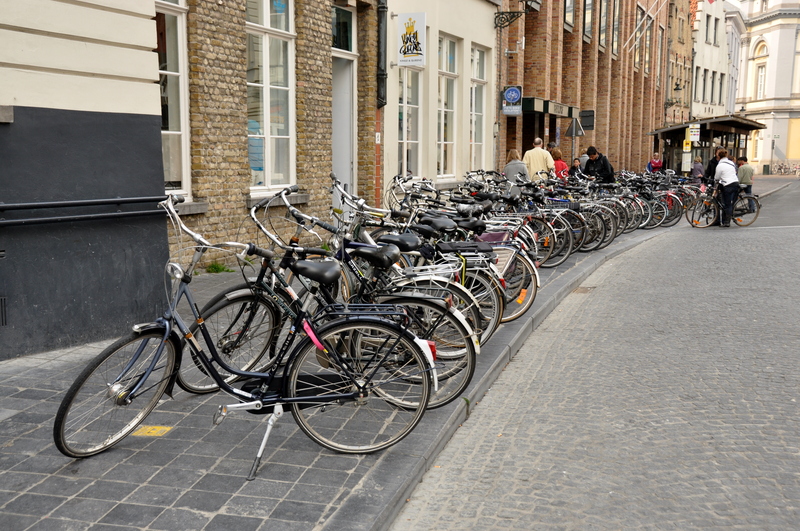 If an address in Bruges cannot be reached by boat, you can surely get there by bicycle. 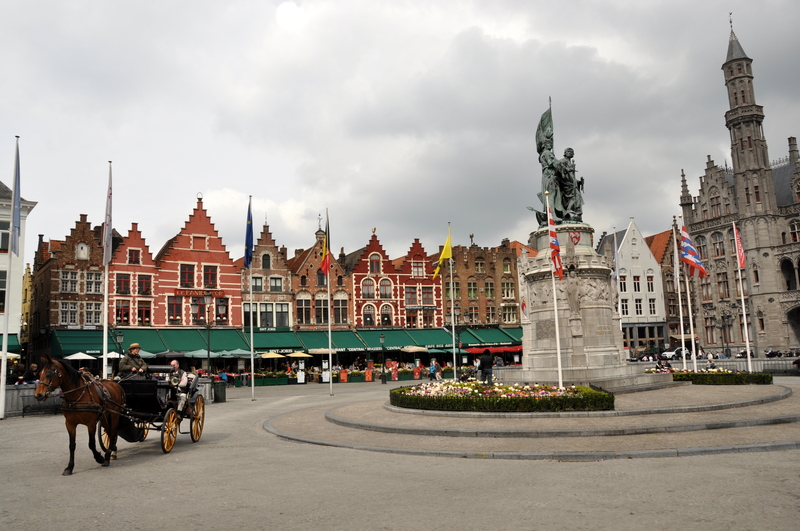 Bruges has several squares, but the biggest and liveliest, pictured above, is called the Markt. 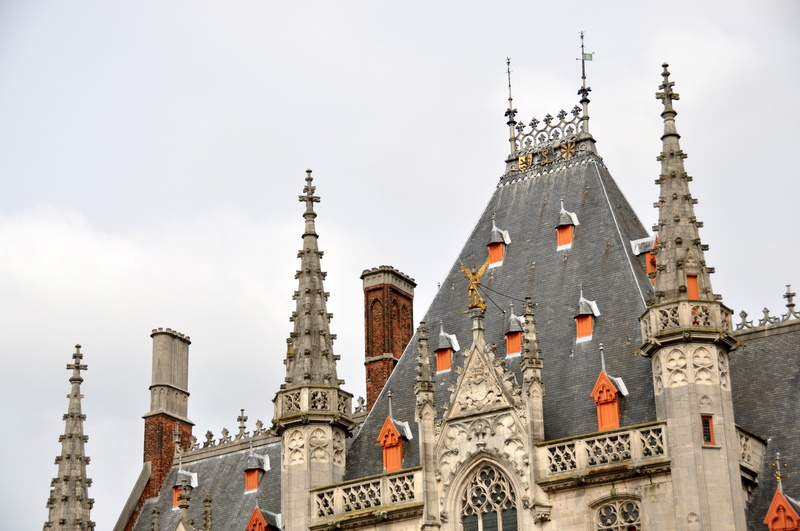 Check out this Markt building roofcomb – an elaborate, striking combination of spires, chimneys, and impossibly-steep, ash-colored shingles…all darkened from a millennia of soot. 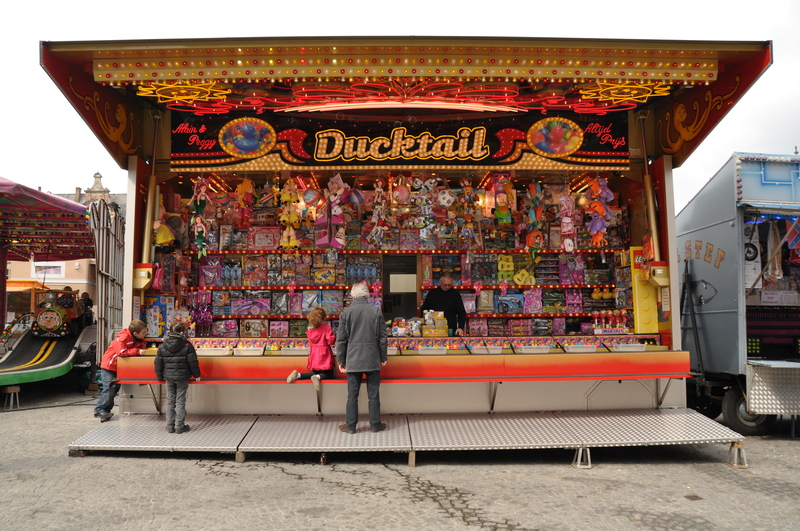 My first day in Bruges was cold and overcast, but that didn’t stop this family of four from enjoying the carnival that had set up shop along the periphery of the Markt. 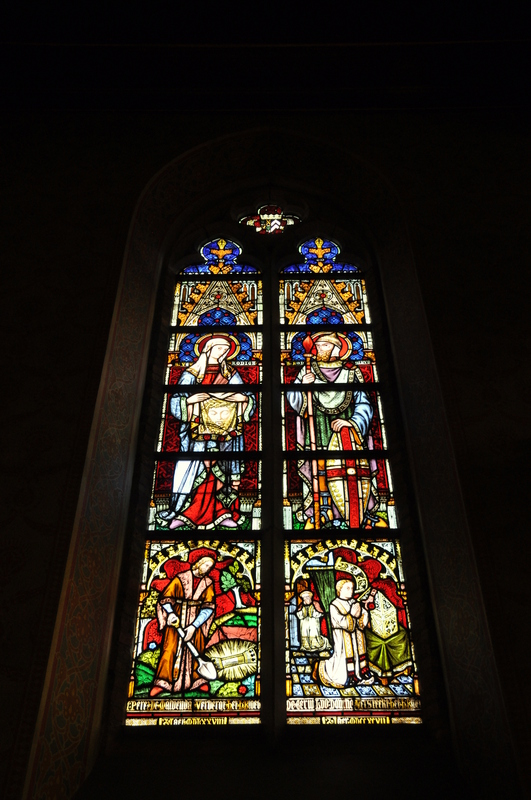 This brilliant bit of stained glass adorns the Holy Blood Chapel, a Roman Catholic church with a Gothic motif. The basilica gets its name from a vial stored behind the main altar – out of public view – supposedly containing several drops of the dying Christ’s congealed blood. 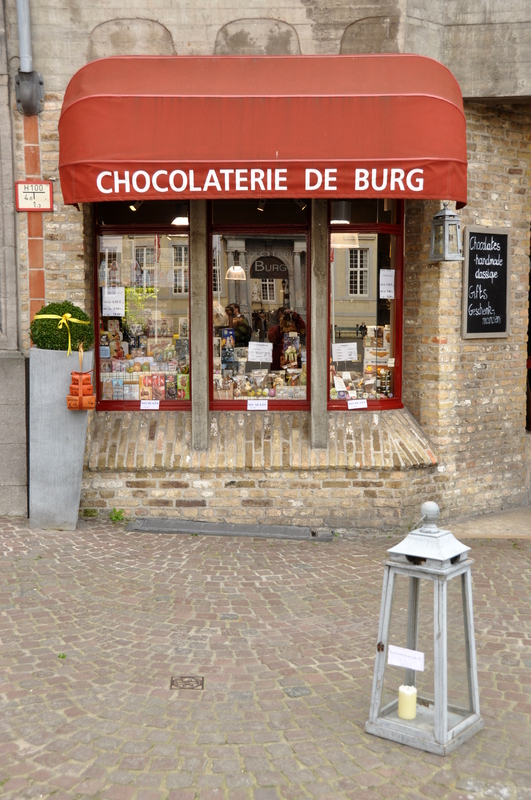 Belgian chocolate is every bit as good as Belgian beer, and there is plenty of the former for sale at shops in the pedestrian center of Bruges. A chocolate museum in Bruges did an admirable job of giving full credit for the creation of chocolate to its true inventors, the Mayans. 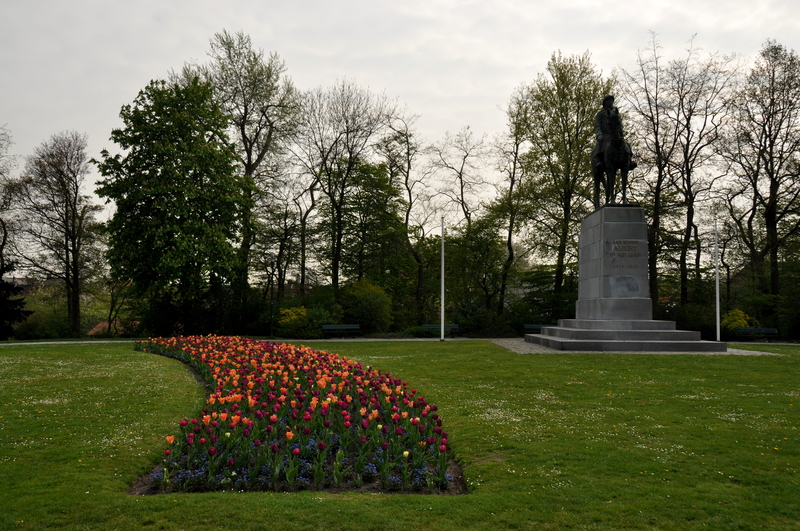 Nearby Holland is more famous for its April tulips, but a casual wander along the edge of the town center took me to this swath of green lawn, where a crop of tulips appeared to be thriving. 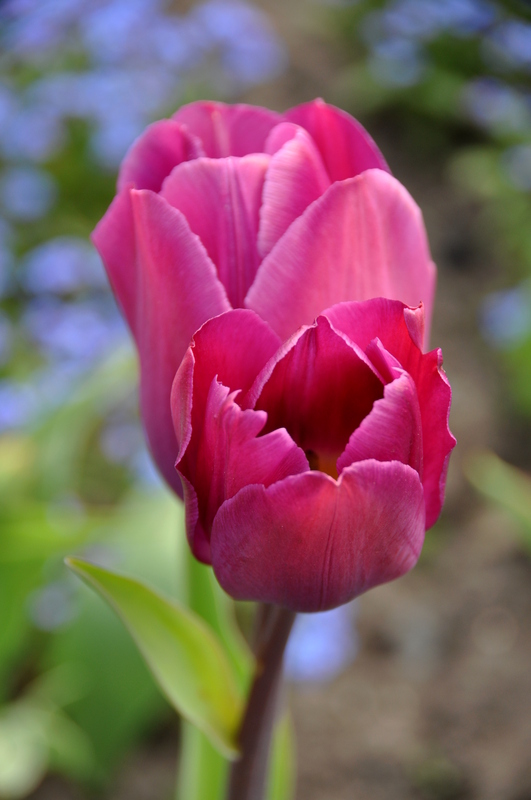 Eat your heart out, Keukenhof! 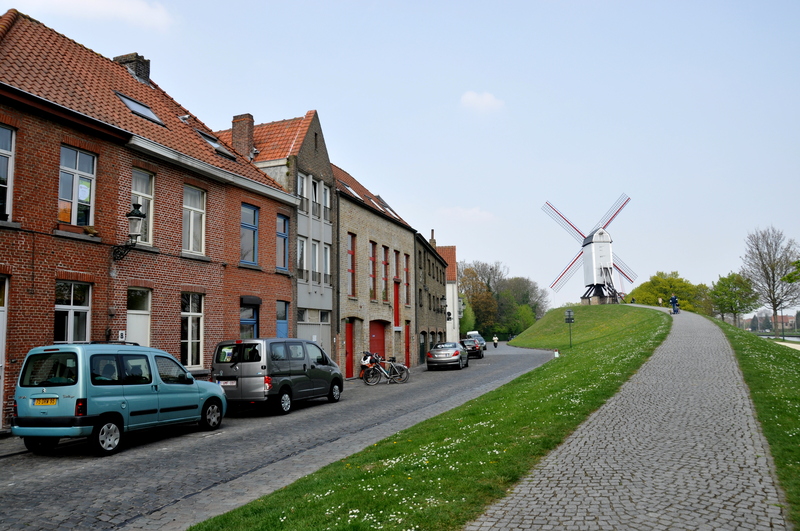 I woke up the following morning to near-cloudless skies, and walked even further, to “Windmill Lane,” where four still-operating windmills stood side-by-side atop a small hill. If I wasn’t stoked by the soft light to keep photographing the beauty of Bruges, I may well have joined this old man for a nap. I walked to the city’s northwest and southeast (pictured above) medieval gates, admiring the budding leaves. Afterwards, I returned to the heart of Bruges, where I was told that a canal-side convent was a can’t-miss detour for shutterbugs. 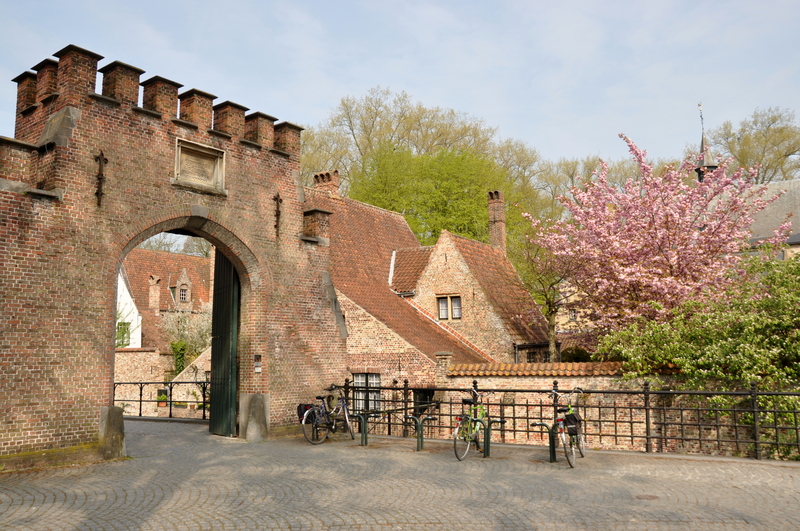 The Begijnhof (“Beguinage” in French), the convent in question, was established in the 13th century, along with similar begijnhofs throughout the Benelux countries, as the informal home for hundreds of pious women. The women, none of whom were officially ordained in ministry, eventually passed away or moved on, and today the convent plays host to a smaller community of Benedictine nuns. 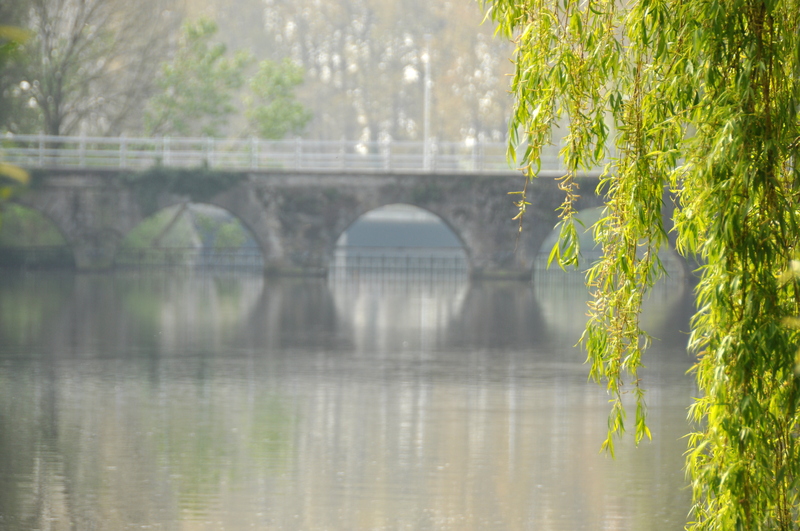 The idyllic, waterside setting of the Begijnhof features swans, daffodils, weeping willows, and graceful bridges. Alas, the centuries-old Begijnhof grounds proved irresistible not to just myself but to seemingly ever other visitor to Bruges. I waited for what seemed like an eternity for the tourist hordes to dissipate before capturing the shot above. The gateway, like something over a castle moat, was built in 1776. 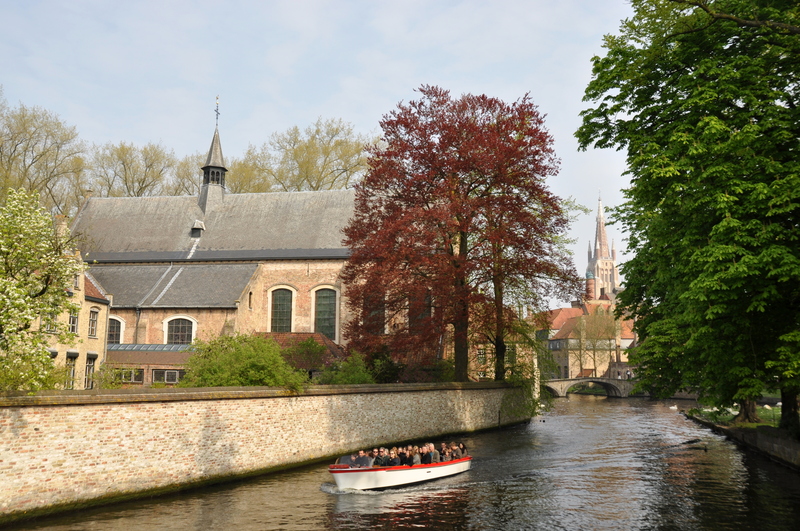 Images like the above, which received no photo editing by your favorite gringo narrator (except perhaps for a bit of cropping), make photographing medieval Bruges ridiculously easy. 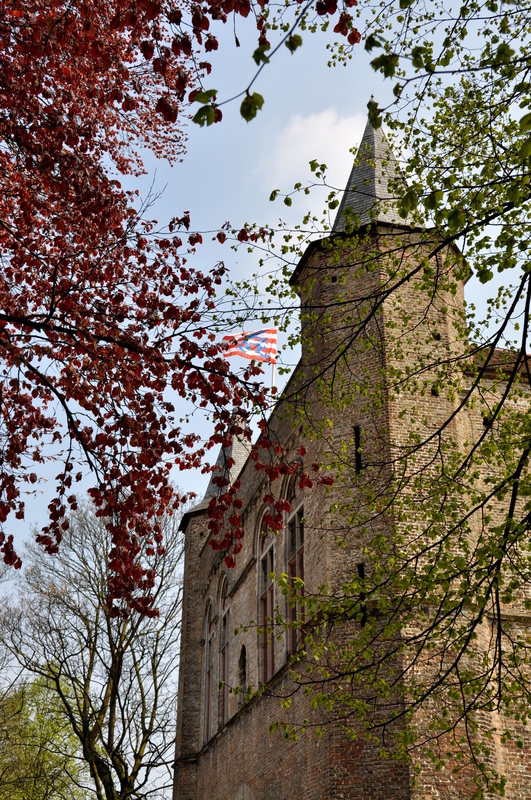 Thank you for detailing your experience with Bruges. Back in 2001 I studied abroad in Leuven, Belgium (one of my FAVORITE places in the world) and was able to spend ample time traveling throughout Belgium and to various western European cities. Bruges truly was a place where the pages of fairytale images became tangible. Looking back I regret not taking more pictures and not spending more time there because it was so lovely and quaint. I heard a lot has changed over the years and it is not so undiscovered so I guess it is best I store it away in my nostalgic reminiscing. Since studying abroad I have visited Belgium a number of times and will definitely be back, and surely make another stop in Bruges to see how it has held up in my memory. There is something about Belgium that has a hold on me, and those who are close to me know how often I actually have dreams about traveling there again. It is so unfortunate that yet another “safe” country has been marred by acts of terrorism and perhaps people will be too afraid to visit it and enjoy all of its offerings. That won’t stop me, I plan on getting back there soon enough but for now I can live through your reflections and stories. Keep them coming Scott! Thanks for commenting, Melissa! I knew of your love affair with the Benelux countries, but I wasn’t aware that you studied abroad in Leuven. I didn’t make it to Bruges until 2011, and found it to be well and truly discovered, but there are still quiet corners to be found.